Most of universities with e-schedules have non-intuitive user-interface, haven’t mobile applications and integration with existing calendars (Google Calendar). We’ve provided a feature-complete Android app and web application prototype which allow user to create, view, edit and import schedules. 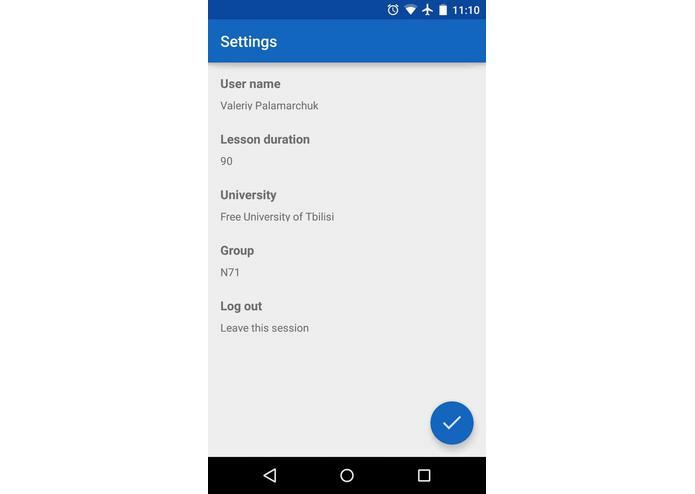 Android app additionally allows chatting where each class has its own chat which is very handy if you choose your schedule yourselves and therefore have different groupmates. 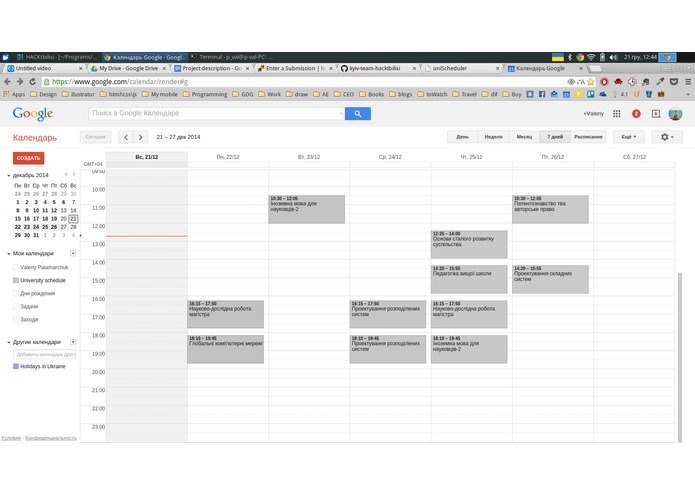 Web app while being a prototype allows the user to export KPI university schedule into Google Calendar. Android app apk (android 5.0+ supported and attached). (Almost) All features implemented. Web app (email: guest@gmail.com, password: password) https://uscheduler.herokuapp.com . Mostly a prototype but supports Google Calendar data export. Enter group name: ІП-22 (or let’s say ІП-21, ІС-31, ІП-31 etc), choose KPI university. 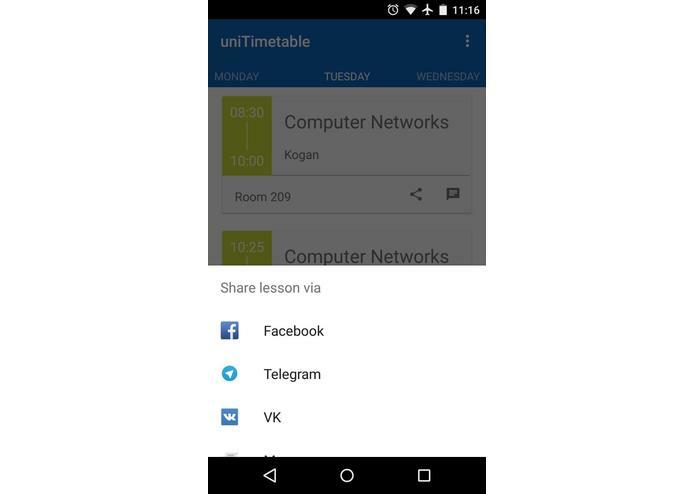 Example of such a simple webapp from our university proved to have really many complains from students - rozklad.kpi.ua (type ІП-22 into that field to see the actual schedule for one of the groups). in many universities each student has his own schedule, available only after authorization. hard to create a fit-everybody application given the variety of higher education models and exceptional cases: trimesters instead of semesters, different class lengths, pauses during the classes, fixed/non-fixed schedules etc. 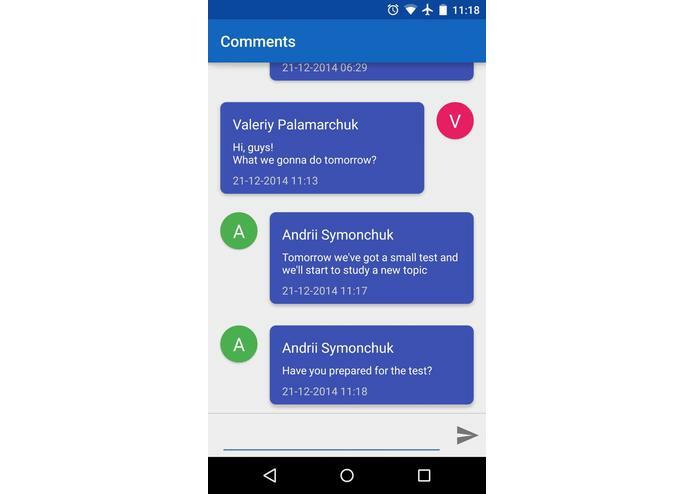 mobile app (material design, android lollipop) allows users to create timetable or import existing one. 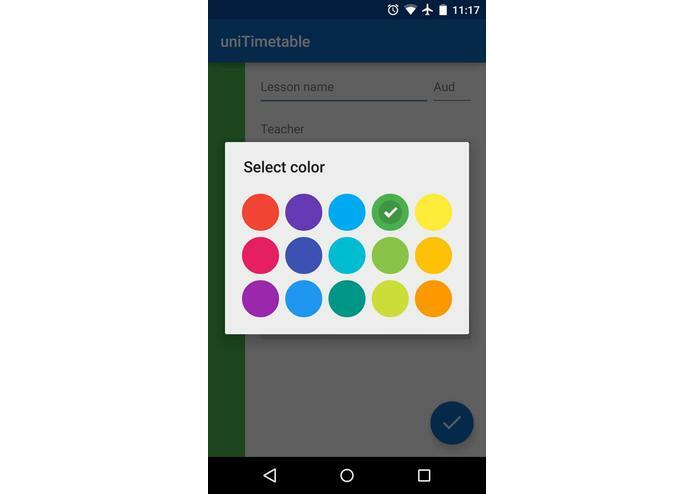 Creating timetable for your group you providing this data for your classmates. We’ve provided possibility to leave comments and communicate inside the lesson. You also can share it or send to anyone. 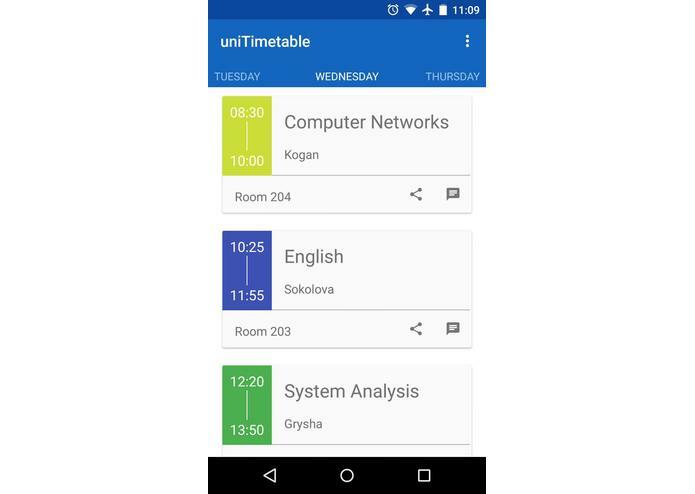 web app (material design, angular-polymer) has similar functions as mobile app and allows users to parse their university schedule (as for now works only for NTUU “KPI” university) and export to Google Calendar. 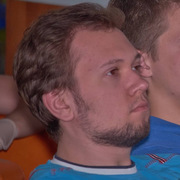 Users are able to choose the university and their group. If this group already exists in the system the timetable is imported automatically. 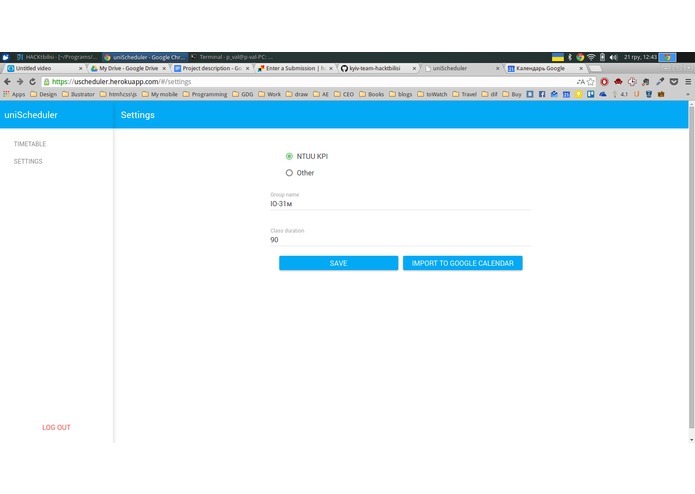 We have a fully-implemented android app which works with https://parse.com back-end and implements all core functions of our idea. 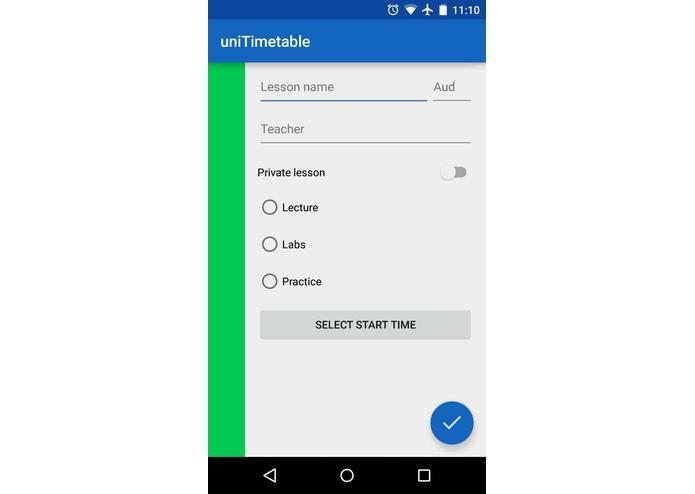 Mobile app is designed mostly for students who have custom unique schedules. 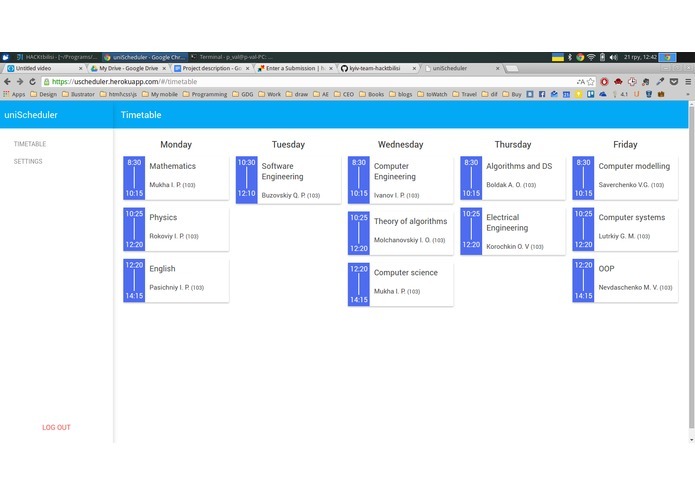 The web app is not feature-complete with it’s main features but solves the problem of parsing and importing university-published schedules into user’s Google Calendar. It provides easy and user friendly interface to work with schedule. (Look at the screenshots and video).